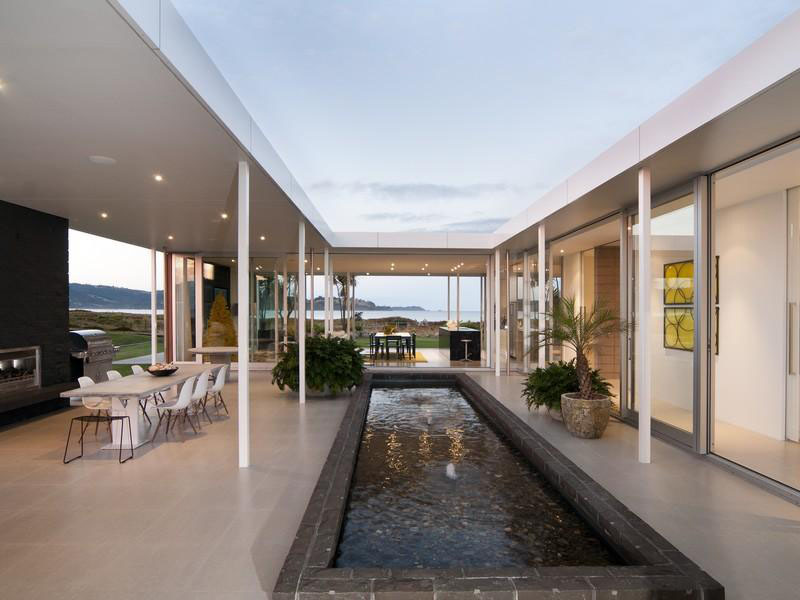 Set on a level beach front site in Omaha, New Zealand, this single level beach house features louvered sliders which glide back to create outdoor living. Designed by Crosson Clarke Carnachan Architects, the house is built around a courtyard which blends seamlessly with the interior space. The spacious open plan connects with its coastal environment and takes full advantage of the beautiful ocean view.